Scan000011035, originally uploaded by bucklesw1. 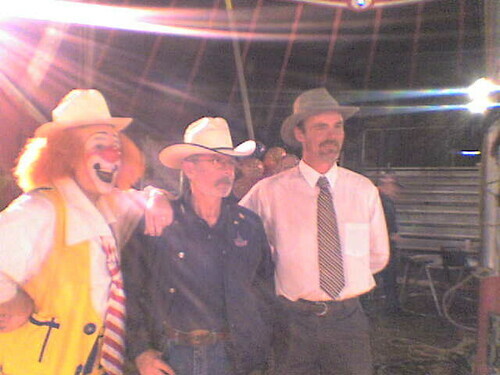 From the CFA Web Site, originally uploaded by bucklesw1. 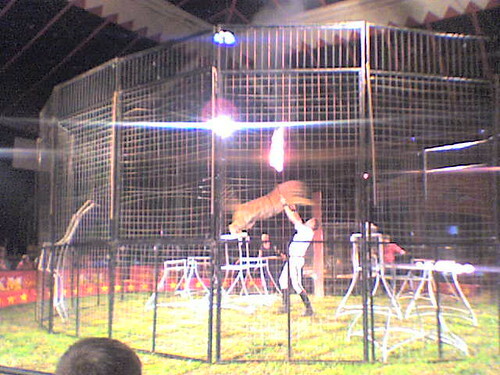 This was just on the CFA web site, I believe these are the Circus Gatti Elephants. 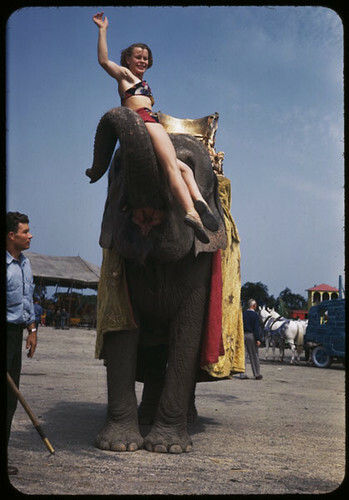 At Saturday night's gabfest, John Herriott pointed out that he had never seen a picture of Smokey Jones working an elephant act in wardrobe and surprisingly, I never had either. 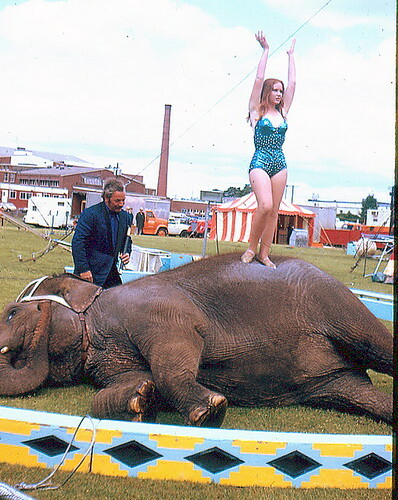 Jim Cole came up with this shot of Smokey, Kari and "Anna May". 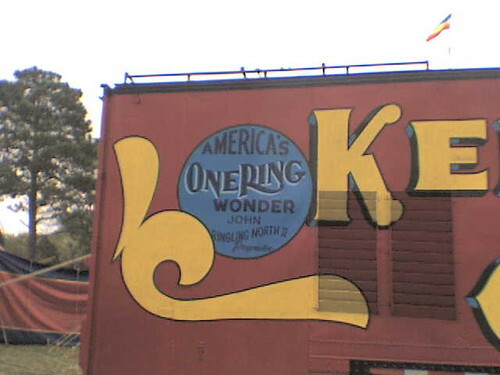 When we all joined this show in 1972, it was owned by Charlie Germaine but shortly after arrival we learned that the new owner was Clifford E. Vargas. 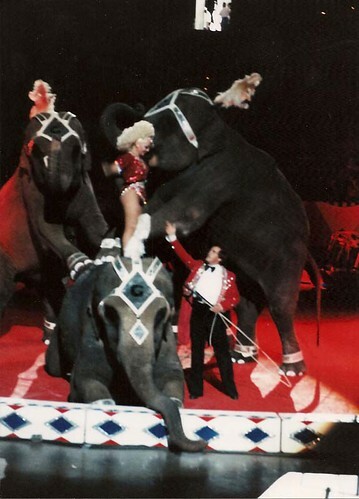 Barbara and Ben worked "Anna May" in the first half of the program, then later in the elephant display, the Cristiani elephants were in the center, I worked "Billie" in one end while Smokey and Kari did a trick or two with "Anna May" so Cliff could have his 3 ring display. Smokey had traveled to California with us to pick up his baby elephant "Tika" and wound up staying for the rest of our time there. Cliff liked using her for publicity, etc. 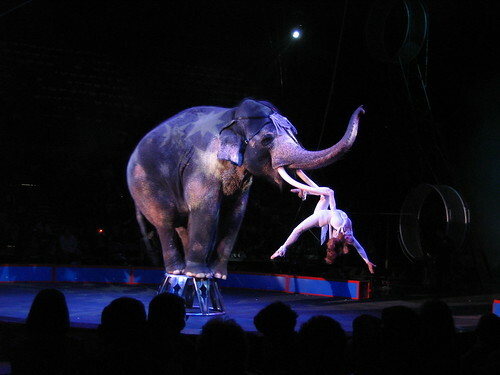 Another subject that arose was what current elephant man has been in charge of the same circus owned elephants for the longest period of time and it was decided this distinction goes to John Pelton of the Gatti-Charles Circus. scan0634, originally uploaded by bucklesw1. 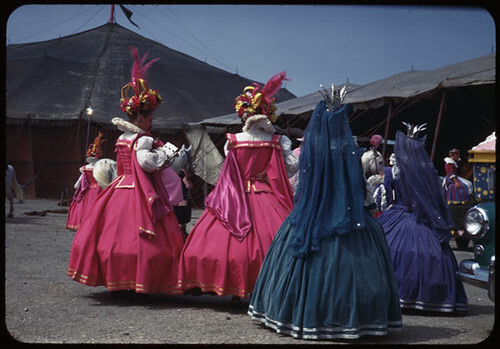 Another person inquired about was Pat White, Jim keeps in contact with her and said that after the engagement in Japan, she has moved to the Boswell Show in South Africa. He added that she should be back on the Blog shortly. !cid_X_MA1_1206853169@aol, originally uploaded by bucklesw1. Pat Cashin, JRN 2 and Casey Cainan. 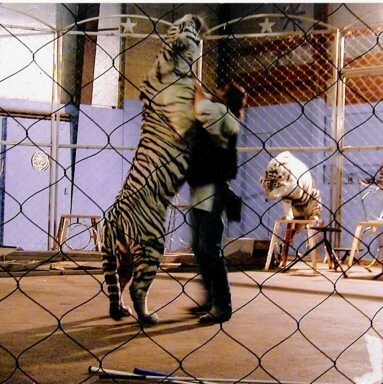 Capt, today I visited KM and met Casey Canine and the other CAPT, John Ringling North II. "Pictures not too clear but they put faces on several Blog contributors." Gary002Capt Lucky Eddie, Natelie and Casey, originally uploaded by bucklesw1. Captain Lucky Eddie, Natalie and Casey. Gary003Tiger leapover, originally uploaded by bucklesw1. Gary004 Firehoop, originally uploaded by bucklesw1. Gary005 Kelly Miller, originally uploaded by bucklesw1. This photo is a inside joke and Casey wanted me to send it to you for the blog. 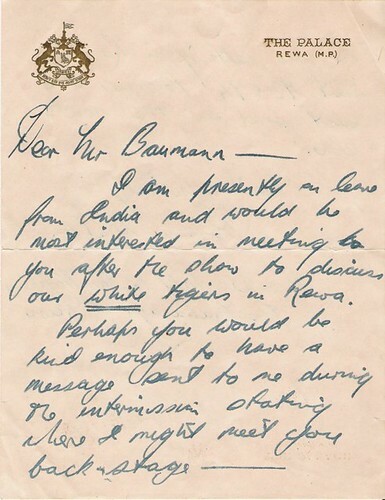 He will e-mail me the names of the showgirls. Gary001, originally uploaded by bucklesw1. DSCN0066, originally uploaded by bucklesw1. Saturday night Gee Gee, Sherry and I had the occasion to catch Tony Bennett at Ruth Eckerd Hall in Clearwater. The sold out crowd was an eclectic mix of young and old alike spanning 18 to 85. Mr. Bennett is 82 years young and still has a full set of pipes. He looked fit, trim and remarkably spry dancing around the stage while delivering an hour and 45 minute set. Setting the tone for the evening, Mr. Bennett sang classics like Speak Low, The Good Life, Boulevard of Broken Dreams, Sing You Sinners and Cold Cold Heart. While the musical fare centered principally on The Great American Songbook, Mr. Bennett even managed to work in a couple nicely crafted contemporary numbers, such as Stevie Wonder's For Once in My Life. He did so without sacrificing his unique style. One note that should be mentioned was the powerhouse quartet accompanying Mr. Bennett. Throughout the evening the musical arrangements allowed the musicians to display their considerable talents without taking away from the star attraction. The same could be said for other more technical aspects of the show. Sound and light engineering were understated and elegant while providing just the right punctuation marks for the evening. Mr. Bennett closed the evening with Fly Me to the Moon, singing solo without any amplification, just a guitarist by his side. In that moment he had 2,000 spellbound fans in the palm of his hand. There wasn't a dry eye in the house. In a word the experience was mesmerizing. 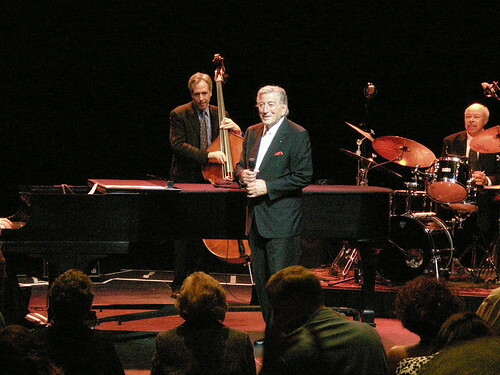 Tony Bennett is an inspiration for everyone in show business on a life well lived. IMAG0012, originally uploaded by bucklesw1. While preparing this morning's Blog, the Sanctum Sanctorum was invaded by interlopers. Scan000011024, originally uploaded by bucklesw1. Scan000011023, originally uploaded by bucklesw1. 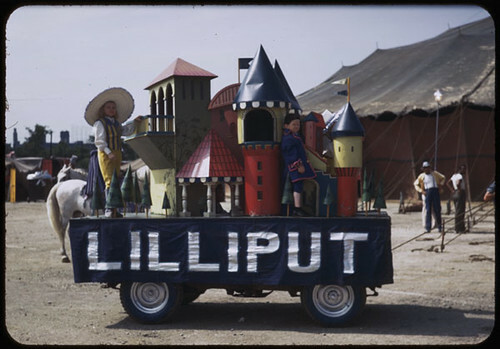 The Doll Family on the Lilliput float...most unusual for a side show attraction to be in spec, is it not? "They appeared in spec often. 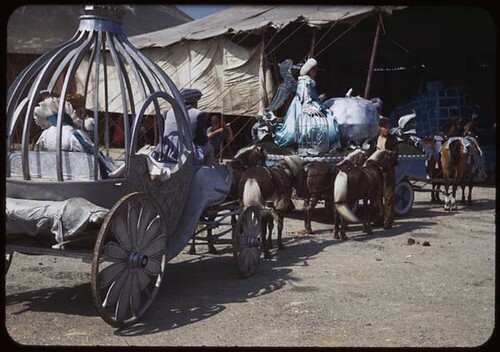 I saw the show in 1948 when the spec had a Christmas theme and Harry Doll rode a float that depicted a child's room. 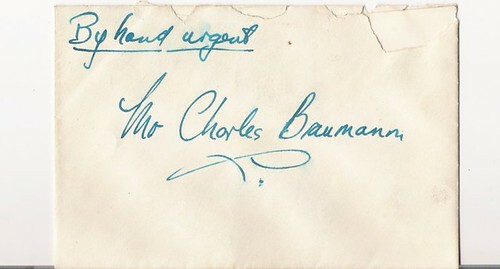 As he sat at a desk writing, the vocalist sang, "Dear Santa Claus, I'm writing you a letter." I remember it as tho it were yesterday." Scan000010737, originally uploaded by bucklesw1. P03786, originally uploaded by bucklesw1. Aug. 2, 1947 "All dressed up for the Cinderella Pageant"
P03785, originally uploaded by bucklesw1. Aug. 2, 1947 "Cinderella coach"
P03784, originally uploaded by bucklesw1. Aug. 2, 1947 "Lilliput Float"
P03783, originally uploaded by bucklesw1. 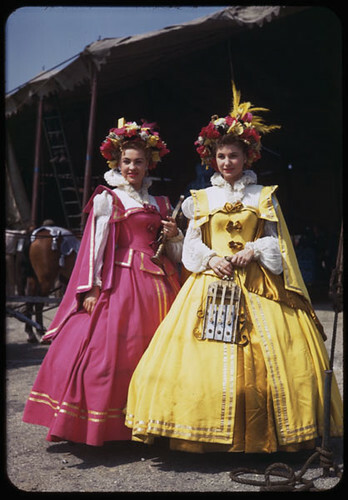 Aug. 2, 1947 "Queens gather for Cinderella Spec"
P03779, originally uploaded by bucklesw1. 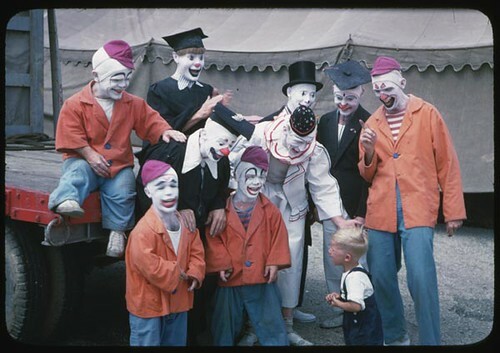 Aug. 2, 1947 "Clowns pose on opening day"
P03781, originally uploaded by bucklesw1. 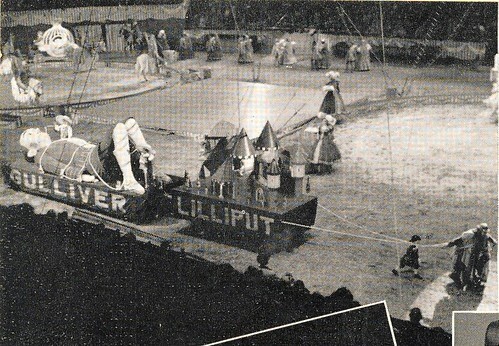 Aug. 2, 1947 "Ringling Circus opening day in Chicago"
I lifted this from the '47 program. 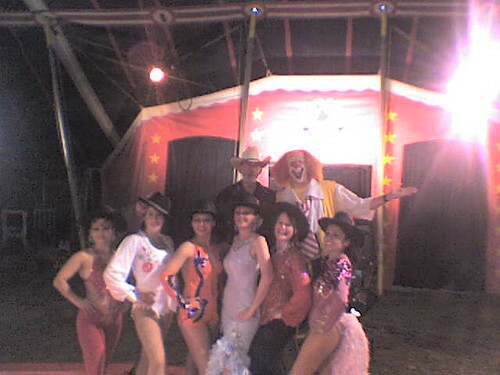 All participants in the number dressed as clowns. 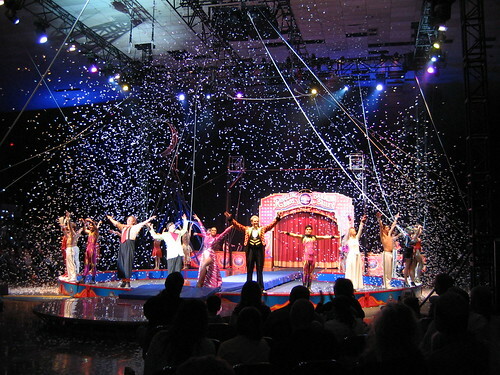 Elephants in clown regalia, lined up waiting for Finale. Quite a departure from "The Changing of the Guard". Scan000011025, originally uploaded by bucklesw1. 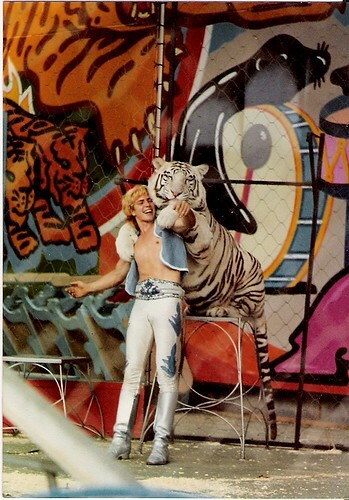 Fred Logan gave me this picture many years ago with the stipulation that it not be revealed until well after his demise. scan0017, originally uploaded by bucklesw1. Here is the only picture I have of Ika, without digging from the Columbus zoo. ScannedImage-13, originally uploaded by bucklesw1. Just talked to Randy Peterson, thought I had a bad connection until I discovered he still had his ear muffs on. I invited him and Steve to the Club tonight and for company on the trip I asked Jim Elliot to come along. I wanted to get the word out so the uninformed will have one more opportunity to receive wise council from both the Colonel and myself. Scan000011013, originally uploaded by bucklesw1. 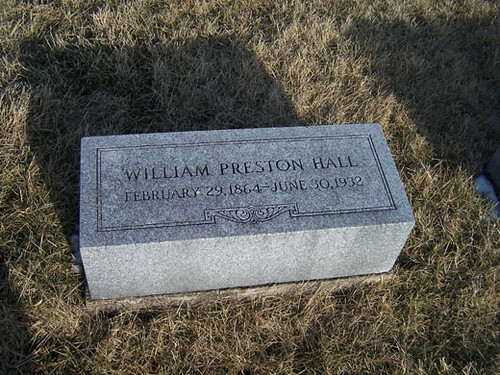 William Preston Hall "Horse King of the World". Scan000011014, originally uploaded by bucklesw1. 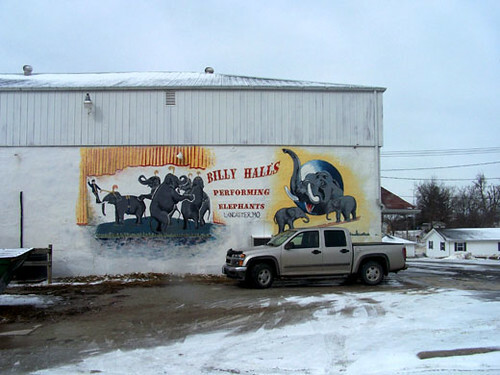 The back side of the farm with the elephant barn in the background. 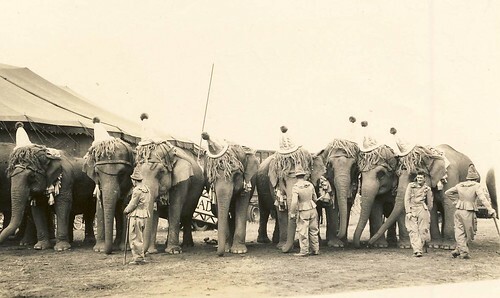 The tusker at left would be "Chief", purchased the previous year from the Barnum Show and sold in 1916 to the Newtons. Copy of Lancaster, Mo.9, originally uploaded by bucklesw1. Here are some photos I took in Lancaster, Mo. a couple weeks ago when I spent a week out there researching the Wm. P. Hall dealings. This is a double sided sign outside of town on a more travelled road. Copy of Lancaster, Mo.3, originally uploaded by bucklesw1. The legacy still is remembered throughout town. This great painting is on the side of a restaurant on the square of downtown. Copy of Lancaster, Mo.7, originally uploaded by bucklesw1. This is the old Hall home. 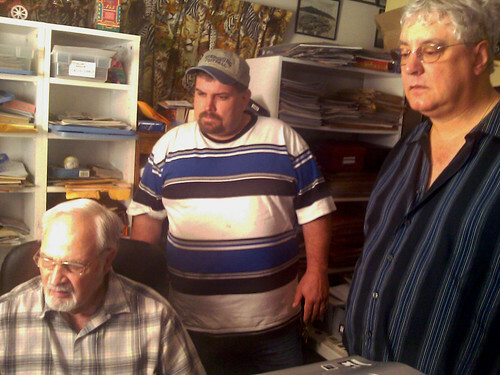 It is now the Museum for the Schuyler County Historical Society. They have an old steel trunk in the garage that was used by Willim Hall's brother Lou for his many travels from Capetown, South Africa back to Lancaster, Missouri. 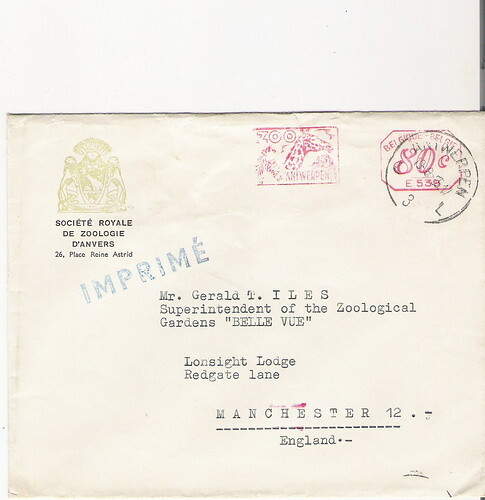 Copy of Hall Home 8, originally uploaded by bucklesw1. 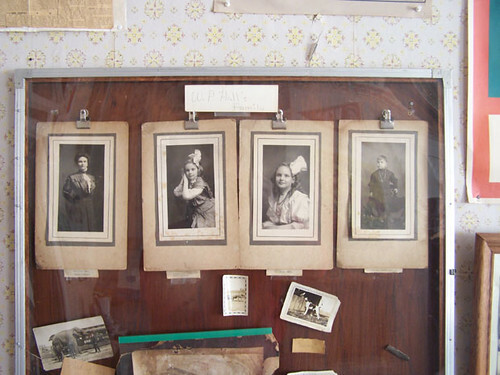 These are photos of the Hall family. Mrs. Sadie Hall is on the left. The two girls Wilma & Sydney and on the right William Jr. 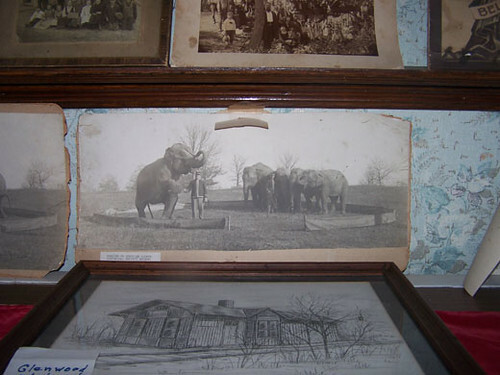 Copy of Hall Home 10, originally uploaded by bucklesw1. 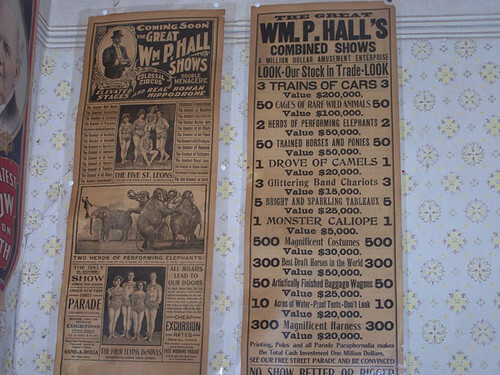 These are the original heralds of the Great William P. Hall Shows. They are printed differently on both sides, thus the display. At the very bottom they are marked distributed by Advertising Car #2. 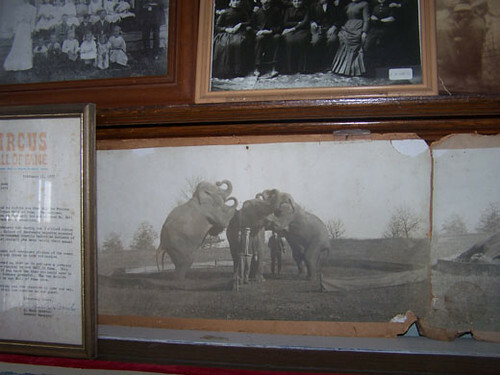 These were found upstairs in the attic after all the artifacts had been removed and taken to the Circus World Museum in Baraboo, WI. 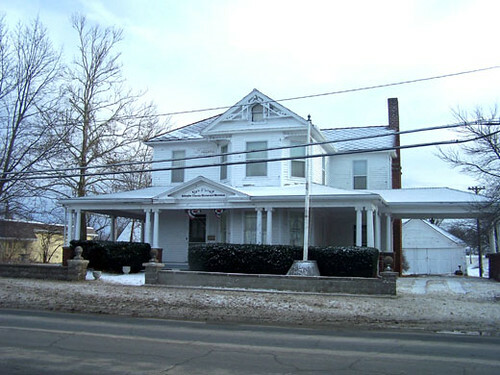 Sometime afterwards, the Schuyler Historical Society purchased the property. Copy of Hall Home 15, originally uploaded by bucklesw1. This is just some of the photos found in the Museum now. Copy of Hall Home 18, originally uploaded by bucklesw1. Copy of Lancaster, Mo. 22, originally uploaded by bucklesw1. 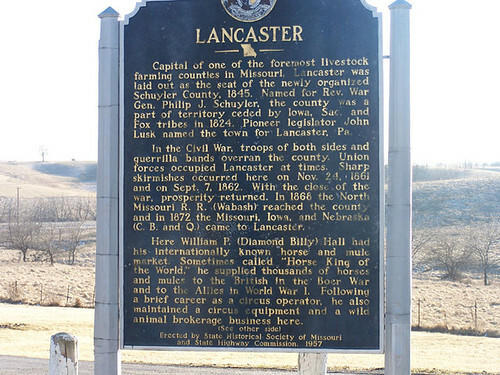 Copy of Lancaster, Mo. 27, originally uploaded by bucklesw1. Copy of Lancaster, Mo.2, originally uploaded by bucklesw1. 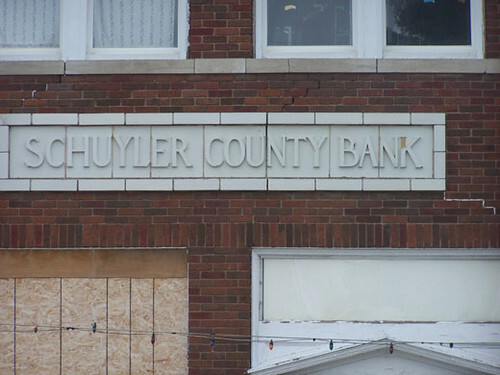 While the building still stands intact, the bank is long gone having been sold numerous times now. The Post Office was in the back of this building and etched in stone as this was. 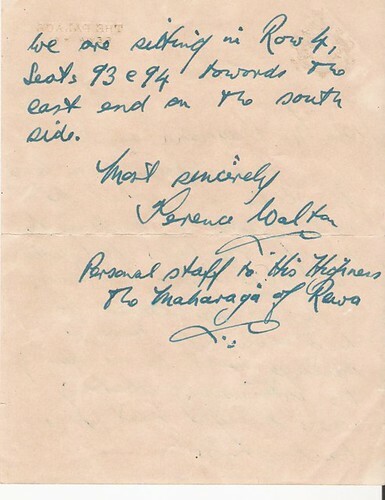 The bank was only two blocks from Mr. Hall's home. 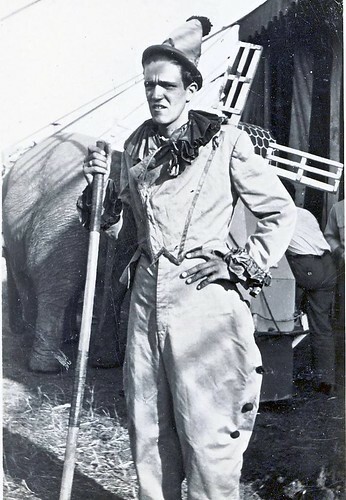 "Hall and Bank official Walter Higbee dealt with everyone from the Ringling brothers to J. Augustus Jones. Following are two copies of their handiwork that Mr. Cline was kind enough to send me. 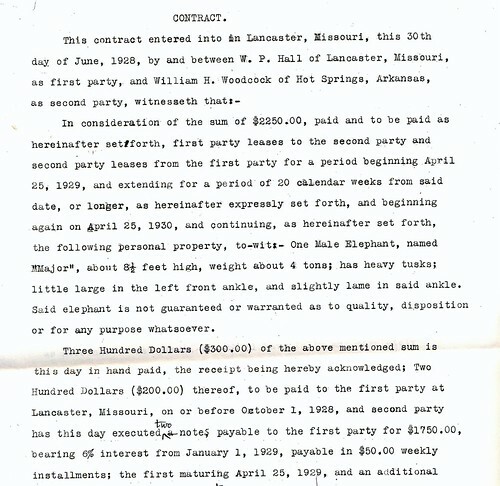 There are about three pages in each contract and included is part of page one from each. My mother's family had been successful with their overland Orton Bros. 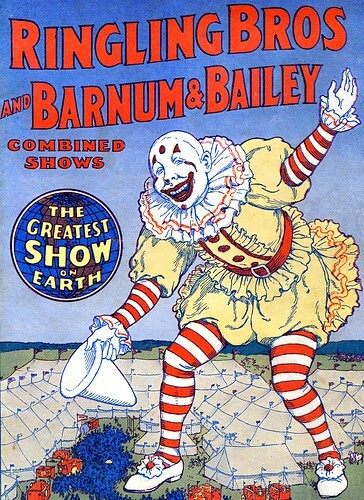 Circus for many years. Her father R.Z. 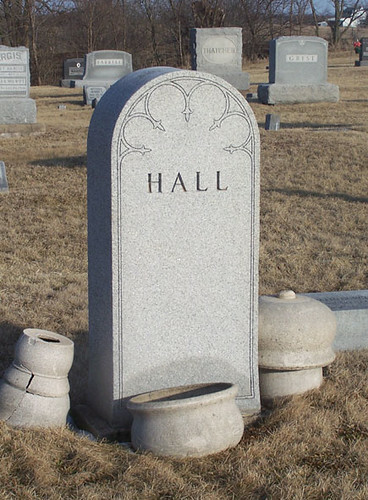 Orton had many dealings with Hall over the years . The Ortons were hard working people and in the off season would buy property in Des Moines and since there were so many, would build a bungalow or two in no time and wound up with considerable Real Estate. 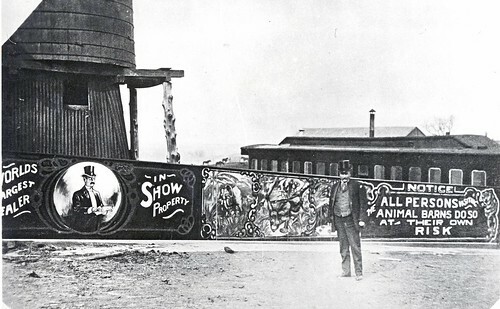 Aware of this, Hall and Higbee played on his vanity, talked him into putting the show on rails and sold him twice the size his "high grass" route could handle. 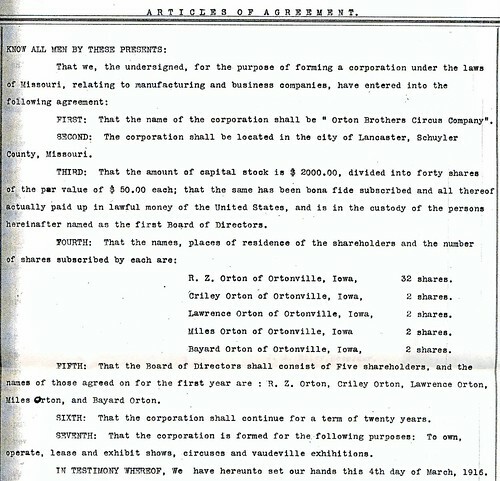 When the circus failed, the bank took all the Des Moines holdings. SAVE0112, originally uploaded by bucklesw1. 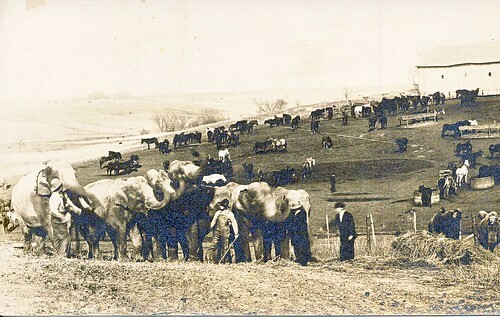 I'm sure my grandfather R.Z (in the center) was on top of the world when this picture was taken in Lancaster. 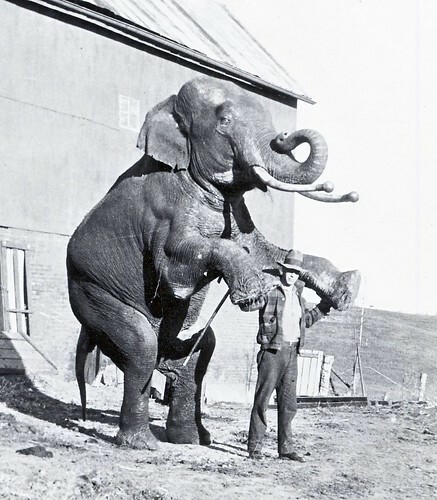 This was another unsuccessful venture but in this case Hall simply took the elephant back. I always assumed that the down payment came from my grandmother in Hot Springs. Scan000011017, originally uploaded by bucklesw1. 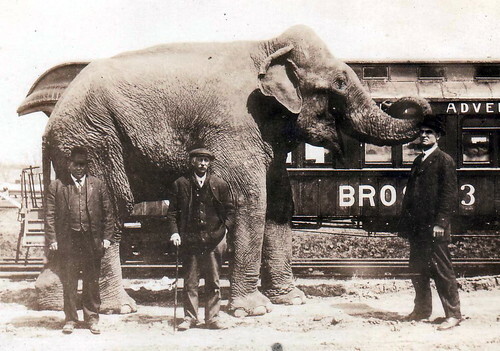 I never knew an elephant man that didn't want a big male elephant. 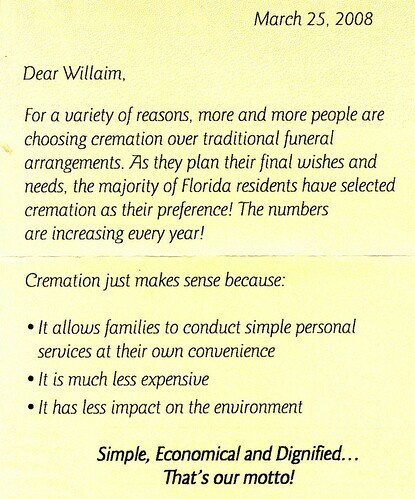 My dad continually explained to me about their danger and warned me to have no dealings with them. All of a sudden a young male, less than a year old, was delivered to the Hugo quarters and he couldn't keep his hands off the little fellow. I forget the year but he became the first of many "Oberts". After we left to go on the road we heard that he gotten sick and died. I remember my father saying, "We should have brought him with us". WB01, originally uploaded by bucklesw1. WB02, originally uploaded by bucklesw1. WB03, originally uploaded by bucklesw1. WB04, originally uploaded by bucklesw1. Wade, I know that deep in your heart you have no desire to be considered difficult but the vast majority of the pictures I receive from people have a "paper clip" symbol in the upper right hand corner. All I have to do is click on this symbol and the pictures go directly to my album and later to the Blog when I find a place for them. Those without the symbol take a little longer. In the case of your pictures, yesterday and today, not only did they lack the Paper Clip but they all had the same identification, meaning I could Blog the first picture but I get the "Already Entered" signal when trying to enter the others. I had to catch Shannon when he was available and he used some formula to straighten things out. This break in the daily routine resulted not only in the Lord's name being taken in vain but brought Brighthouse Network to a complete standstill. Gold pre-show, originally uploaded by bucklesw1. entrance. 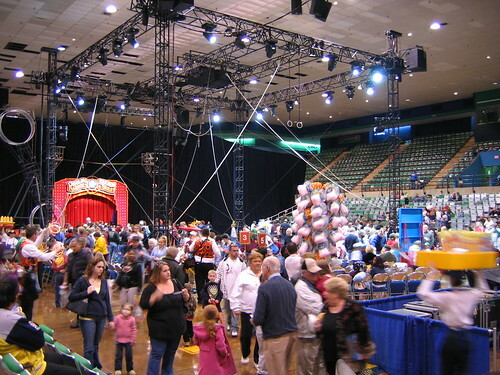 The wheel and high wire rigging can be seen by the portal. web, and cloud swing are also evident. Gold finale, originally uploaded by bucklesw1. seven-piece band is split and sits on both sides of the portal. 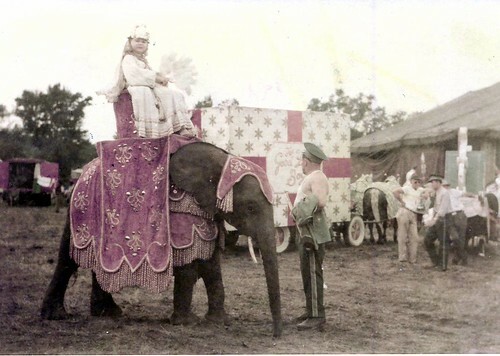 Gold elephant, originally uploaded by bucklesw1. lumbers about and are created by the gobos in the spotlights. date though still no formal listing of displays. Wburke01, originally uploaded by bucklesw1. 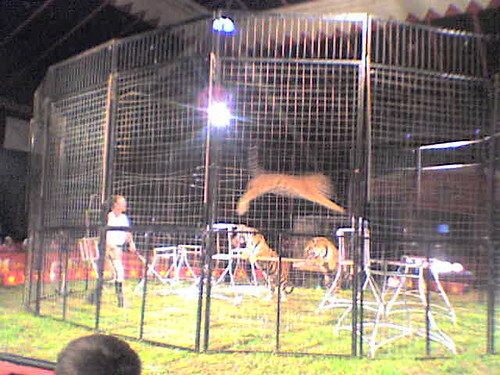 The tiger sitting on the seat is Paka, 5th generation Hawthorn, and the tiger doing the corbette is Karma 6th generation Hawthorn, and the tiger she is corbetting over is Sparticus 7th generation Hawthorn.